With all the beautiful beaches and great hiking trails, it can be easy for visitors to San Diego to forget that the city is also home to incredible art museums and up-and-coming galleries. 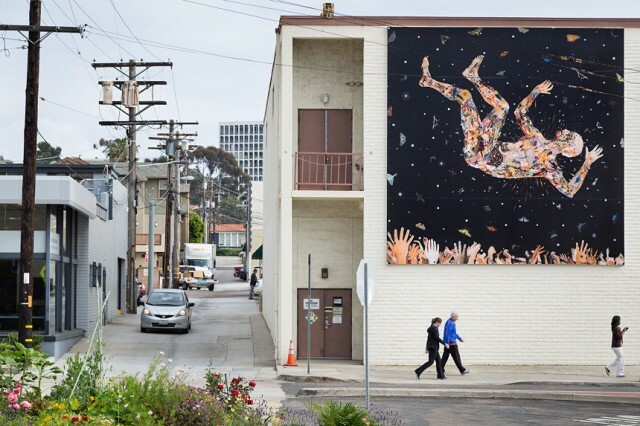 Fortunately, for locals and visitors alike, you don’t have to head indoors to find great art – it’s all around you in San Diego! Since 2010, more than a dozen artists have transformed the coastal seaside village of La Jolla into an outdoor contemporary art gallery. The Murals of La Jolla feature massive painted and photographic works by local artists as well as international contemporary art stars. Started as a community initiative to prevent vandalism, Writerz Blok in southeast San Diego offers one of the most unexpected and extraordinary art experiences in San Diego. Young San Diego street artists continually make over the park’s 10,000 sq. ft., which is covered inch for inch with graffiti art. Surrounded by the Anza-Borrego Desert State Park and citrus groves, Galleta Meadows features 40 fantastic metal sculptures of dinosaurs, mammoths, saber-tooth tigers, sloths and other ancient former residents, as well as life-size animals of the non-prehistoric kind: camels, tortoises and wild stallions. Created by artist Ricardo Breceda, his “Sky Art” project tells the tale of San Diego’s fascinating and fossilized past one free standing, steel-welded sculpture at a time. Bella Meyer’s moss angel for Art Alive 2013. What will this year’s design look like? In April, the San Diego Museum of Art in Balboa Park blossoms during Art Alive, an enchanting spring exhibition. 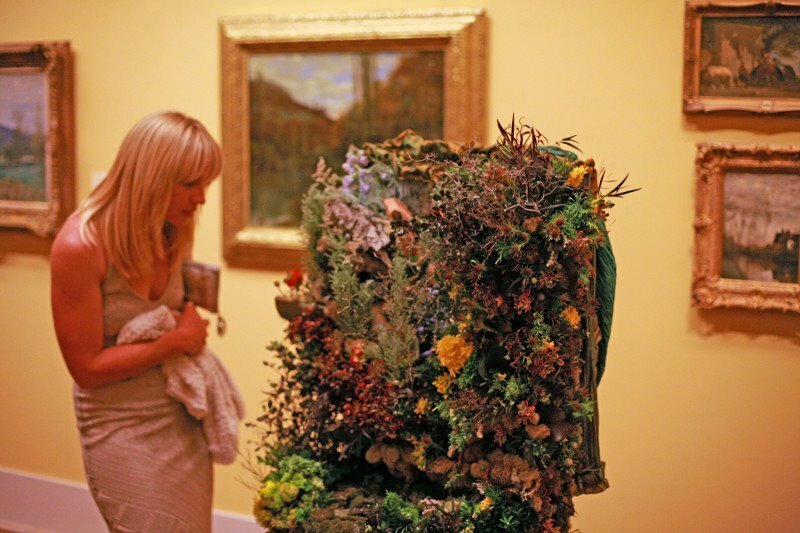 Transforming the museum into a colorful display of art and flowers, 120 floral designers take inspiration from the museum’s renowned art collection and create floral renditions of famous paintings and sculptures. However, the most spectacular part of Art Alive is always the museum’s atrium. 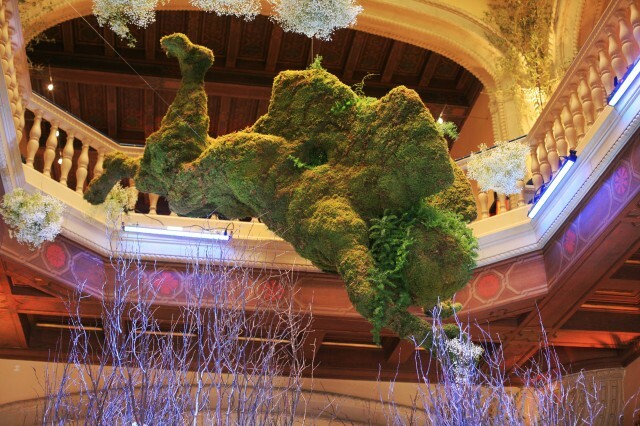 Each year, one designer is picked to create and enormous floral design that fills the rotunda from top to bottom. This year’s designer, Carlos Franco of Green Fresh Florals, was inspired by the Alhambra palace in Granada, Spain. Expect to see a design composed of 175 hanging pots, 120 bunches of roses, 300 boxwood bunches, 200 bunches of yellow china and white china mums, 8 date palms, 16 conical cypress trees, and 10 rose trees. 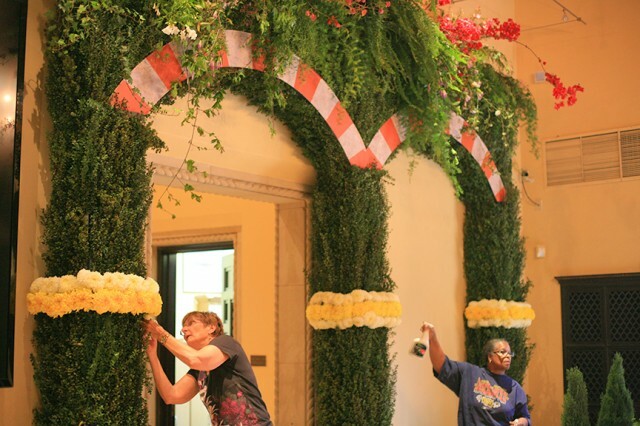 Volunteers prep hundreds of plants and flowers for Art Alive at the San Diego Museum of Art. This entry was posted in Arts & Culture, Outdoor Adventures and tagged balboa park, downtown, east county, la jolla, north county coastal by Candice. Bookmark the permalink. Have a question.. I was in La Jolla recently and visited a sculpture and art gallery right across from the LaJolla beach tourist area. It had large interesting fountain sculptures and had a life size ‘end of trail’ sculpture. Can you let me know the name of this gallery. I was interested in purchasing a piece but lost the business card the woman gave me. Thank you!